This page is for us Radio Geeks who just like seeing things of media. Here you will find pictures that I have collected. If you have anything you would like to share please email them to me. I will credit you OR not credit you depending on your wishes! 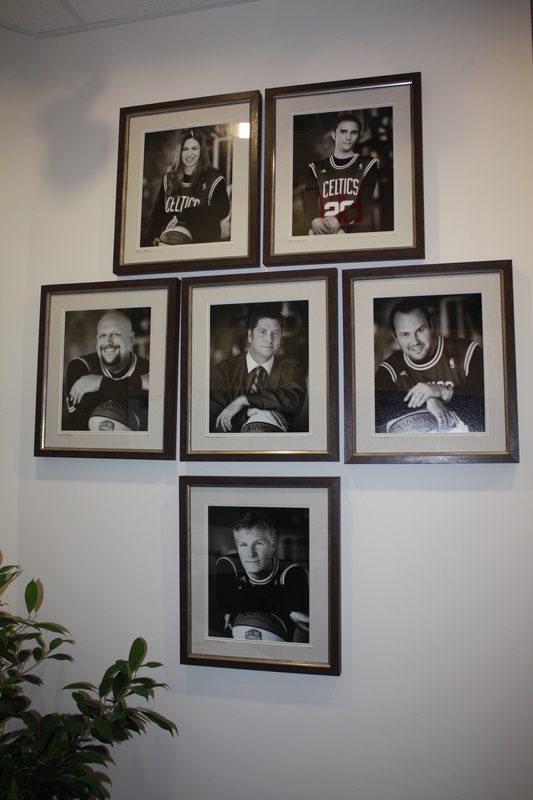 Photo by Micheal Netkovick. WNUS-AM, 'News Radio', operated out of studios on Sylvan Street in West Springfield, MA. It is now WACM-AM, a Spanish language broadcaster. 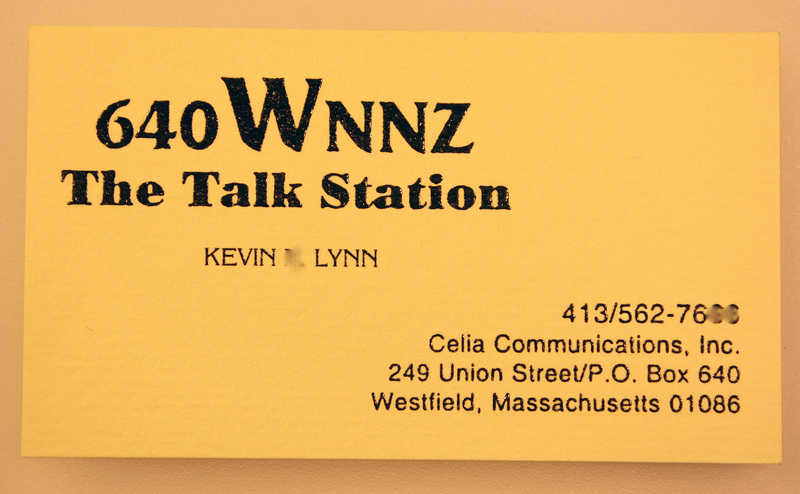 My WNNZ -AM business card. The 50,000 watt station in now owned by WFCR-FM, the NPR affiliate in Amherst, MA. 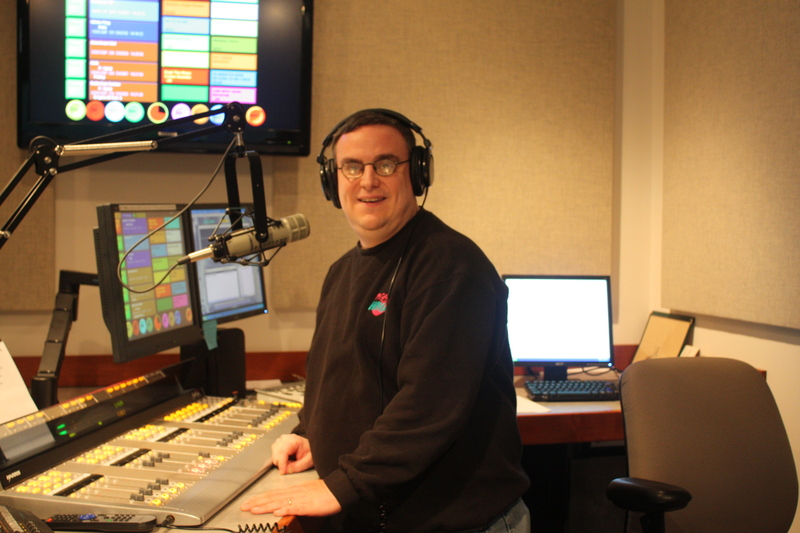 WMAS-FM's Brett Provo in air studio March 2009. WMAS-AM frosted logo prior to change to ESPN1450.